The landmark article that you have to know for this topic was done by William Bickell, Kenneth Mattox, et al (1) and published in The New England Journal of Medicine in 1994. On alternating 24 hours periods, hypotensive (SBP <90) patients with a penetrating injury to the torso received either immediate resuscitation (even days of the month) or delayed resuscitation (odd days of the month). For the immediate resuscitation group, patients received rapid infusion of crystalloid fluids in the prehospital environment. For the delayed resuscitation group, no crystalloid fluids were given in the prehospital environment. All patients were treated identically after arrival to the trauma center. If they were hypotensive, they received crystalloid and blood products. Once in the OR, all patients received crystalloid and blood products to maintain a SBP of 100 mm Hg, Hct >25%, and urine output >50 ml/hr. The primary outcome for the study was survival to hospital discharge. They enrolled 598 total patients - 309 in the immediate resuscitation group, 289 in the delayed resuscitation group. The baseline characteristics of each group were well matched (similar revised trauma scores, presenting blood pressure, mechanisms of injury, and transport times). Patients in the immediate resuscitation group obviously received more fluids prior to arrival at the trauma center but also received more crystalloid and blood products in the trauma center in comparison to the delayed resuscitation group. Once in the operating room, patients in both groups received equivalent amounts of blood products and crystalloid. Survival to discharge in the immediate resuscitation group was 62%. For the delayed resuscitation group, survival to discharge was 70%. This difference in mortality was statistically significant. Intraoperative blood loss was higher in the immediate resuscitation group but the difference between groups was not statistically significant. Hospital length of stay was longer in the immediate resuscitation group in comparison to the delayed resuscitation group. This study is limited by the fact that it was not blinded and not technically randomized (though the data collection was prospective and the groups were well matched with respect to prognostic factors). It was also conducted in a single EMS system. 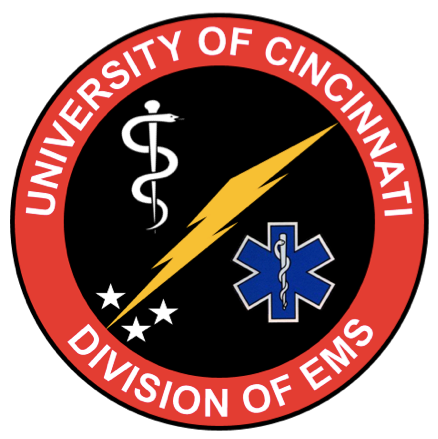 On face value, it is quite translatable to our own practice environment in the Cincinnati area (due to the short transport times for the majority of our penetrating trauma), but may be less so in areas with longer prehospital times. But, hey that was 1994, back when Forrest Gump was #1 in the Box Office, what’s gone on since then and what is recommended today? In 2012, a retrospective cohort review of patients with penetrating trauma presenting to several European trauma centers cites an increased mortality with SBP <110 mm Hg. (Hasler, et al, 2012) So is permissive hypotension dead? Not really. Their cohort is not comparable to that in Bickell, et al. In the European cohort, 70.9% of the injuries were caused by stabbing, in the Texas cohort, 66% of the injuries were caused by gunshots. In addition, the median ISS was 9 (IQR 9-14) in the European study and was 26 +/- 14 in Bickell, et al. And, the overall mortality was 6.3% (death within 30 days) in the European study. From above, you can see that the mortality was much higher in Bickell, et al. Despite the claim in the title of the article, looking at the results looking at the odds ratios for mortality, in the multivariate regression model, the confidence intervals overlap 1 until the patients had a SBP <70, so it is difficult to say for sure that a SBP <110 in and of itself is indicative of increased mortality in penetrating trauma patients. Take a listen to the podcast (embedded below and on iTunes) for more information about when you actually pull the trigger to resuscitate, what to resuscitate with, and how far to go with the resuscitation. Bickell, W., Wall, M., Pepe, P., Martin, R., Ginger, V., Allen, M., & Mattox, K. (1994) Immediate versus Delayed Fluid Resuscitation for Hypotensive Patients with Penetrating Torso Injuries. New England Journal of Medicine. 331(17). 1105-1109. Hasler, R., Nuesch, E., Juni, P., Bouamra, O., Exadaktylos, A., & Lecky, F. Systolic Blood Pressure below 110 mmHg is Associated with Increased Mortality in Penetrating Major Trauma Patients: Multicentre Cohort Study. Resuscitation. 83(4). 476-481.